Neiva is a large, oppressively hot city that is not nearly as pretty as its name. It is the capital of Huila. Lenin’s ex-sister-in-law lives in Neiva with her son, Nico, who is Lenin’s nephew. Nico was elated to have his uncle show up for a surprise visit. He also became instant friends with Churro. On our second day in Neiva, we were going to go on a bike ride around town with Nico. 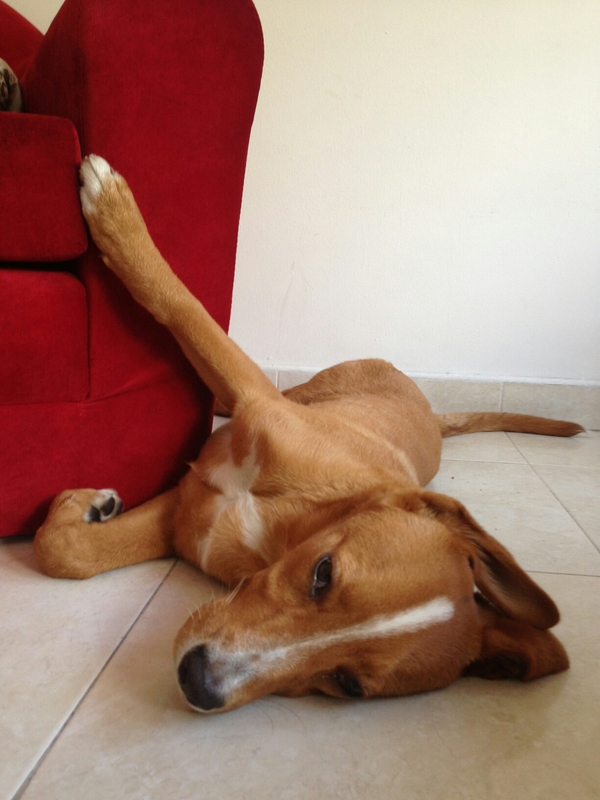 While getting ready, Churro became playful in a mischievous way, unable to contain his energy. He tugged at the skirt of a schoolgirl who was walking by on the sidewalk, and wouldn’t listen to us to come to his trailer. Lenin started to chase him with the leash, and Churro ran all the way down the block. When Lenin approached again, this time Churro decided to run across the wide street. He was clear on one side, but then hopped the middle barrier and ran straight into an oncoming car as we all watched in horror. I screamed at the top of my lungs in disbelief, and the three of us ran over to him. Another lady who witnessed the whole thing came to join us. I continued screaming, “nooooo!” loudly enough to bring nearly all the neighbors and their dogs out to see what happened. Lenin lifted Churro’s limp body off the road and onto the grassy barrier. Blood was dripping from his mouth, and there were already flies collecting around his open eyes. Lenin turned his head, and we saw that his skull was broken. His upper jaw was split down the middle. I couldn’t accept that he wasn’t going to survive, and I begged Lenin to take him to the veterinarian, but there was nothing we could do. His heart stopped soon after that. The lady who saw the whole thing helped us to bring Churro to a spot overlooking the river, and we borrowed a shovel to dig a grave for him. I still couldn’t believe how we could lose him so quickly, and Lenin couldn’t believe how much we both loved him after just a month of having him in our lives. Lenin and I stayed inside in Neiva for a few days after this and did little more than watch sad movies. The night before we were planning to leave, Eliana told us that Nico was sad we were leaving and convinced us to stay one more day. I couldn’t imagine how we could be any fun to have around, when we barely did anything, and when we weren’t watching movies, Nico was playing video games. We decided not to take the trailer, since we didn’t have a dog anymore, and a Lenin quickly found someone interested in buying it. 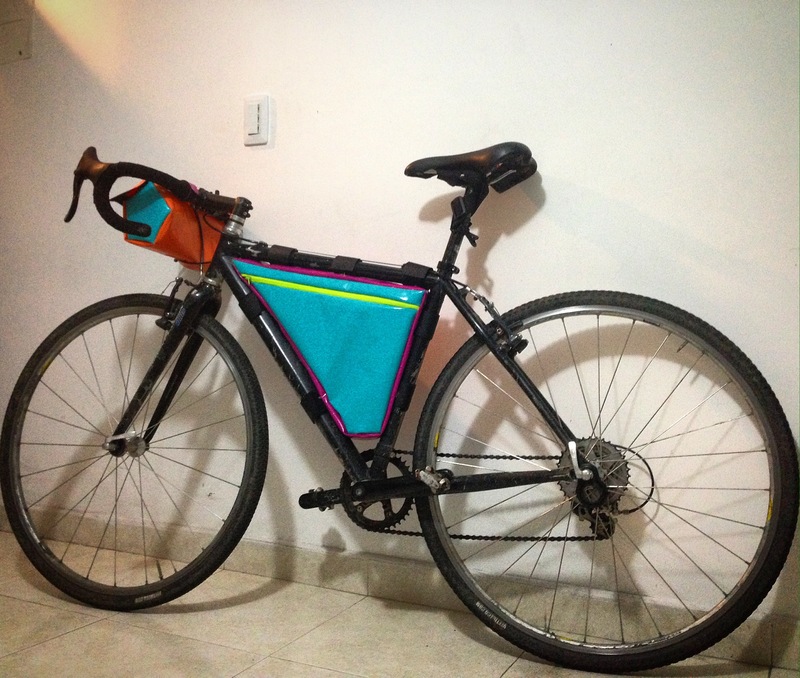 To carry the stuff we had been putting in the trailer’s pockets, I finally made a frame bag and handlebar bag out of some waterproof material we had been lugging around since Medellín. I had tried to make the bags in Bogotá with Adriana’s sewing machine, but the thread kept getting jammed so I was waiting for another opportunity to use a sewing machine. The people we asked in Neiva who had sewing machines recommended glue for the material we had, so I spent most of our last day in Neiva trying to glue together the bags. I think I succeeded without too much mess, but didn’t trust that the glue would hold very well in the heat. We set off the next day anyway, to the south, and to see how the bags would fare. Big River is getting greener! And trails that were scary for me a year ago are getting easier!